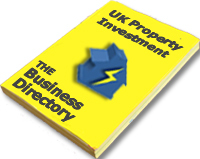 Currently viewing the tag: "property investment quick start"
UK property investment is booming again, thanks in part to the Government changes to the way pensions are controlled. The changes allow interested property investors to release pension funds for property purchases early, because bricks and mortar continue to offer a greater return than pension funds currently provide. Property investment in the UK is becoming even more popular with the number of property investors increasing by 8% during the past year, according to data recently released by letting agent, Ludlow Thompson, with landlord numbers rising to approximately 1.63 million controlling approximately 3.1 million private rental sector (PRS) properties in the UK. Would be property investors who want to get their investment career off to the best start in 2015 should consider joining Simon Zutshi’s Property Investment Quick Start Programme (PIQS) to help them achieve amazing results. Simon Zutshi’s PIQS programme teaches new and seasoned property investors how to buy property using none of their own money! As many property investors will testify, there has never been a better time to make money in the UK property market, if property investors know what they are doing! One of the most profitable ways to invest in property is to purchase from motivated sellers, who are more than happy to sell you their property for less than the true market value. This allows property investors to make instant equity profits from day one, as well as positive monthly cash flow as well as long-term capital growth. There are still thousands of property owners who need and want to sell their property but they can’t because there are just aren’t enough buyers in the market. First-time buyers don’t think they are able to buy even with the aid of the Government’s Help To Buy scheme, and amateur property investors are waiting until they are certain that the market has recovered and is on its up way again before they buy. What this means for you is that there is a HUGE opportunity, as long as you know what you are doing, and start taking action now! After just one day with Simon Zutshi, property investors will know exactly how to profit in the current property market whilst minimising the risks. On the one day “Property Investing Quick Start” (PIQS) seminar, Simon Zutshi will share with property investors the benefit of his successful property investing experience, as he has been in property since 1995 and has already helped many thousands of investors personally since 2003. Property investors will know exactly what to do and even have their own action plan to make sure that they really do get a quick start! 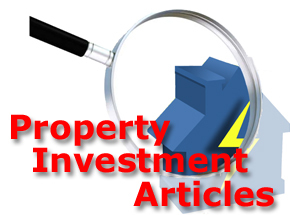 To discover more about Simon Zutshi’s Property Investment Quick Start Programme and find out what the four biggest property investment problems that stop investors from benefiting are – CLICK HERE! MyPropertyPowerTeam have been catching up with some of the best UK property investment educators and trainers to bring our readers some exclusive content. Mike interviewed the Property Investors Network (PIN) founder, Simon Zutshi and asked him why he set up the property investors network, why networking with like minded people at property networking events was so important for personal development and the expansion of the PIN property networking empire. Mike also asked Simon about the PIN National Conferences planned for 2013, the different training courses offered by PIN for property investors including his “Property Investment Quick Start (PIQS) programme, Property Mastermind, Mastermind Accelerator 3 day programme and the development of the fantastic new property investment forum – PIN Academy. Simon Zutshi was financially free by age 32 and is regarded as one of the top UK property investment educators around, he is also the author of the best selling book “Property Magic” now in its 4th edition. He is currently working on 2 new books and MyPropertyPowerTeam will be among the first to offer copies to its readers. Rachel caught up with The HMO Guy – Paul Preston at the PIN National Conference last month, watch the teaser trailer below to discover what great new content will be coming soon from Paul on MyPropertyPowerTeam.co.uk including how to make £1000 (GBP) profit from property every month using Houses of Multiple Occupation (HMO’s). Paul is well known for practicising what he preaches and presents the HMO Multi-Let Workshop with Simon Zutshi and he is also the presenter of the PIN Property Investment Quick Start (PIQS) course and he currently achieves massive cashflow from his rental property portfolio and is willing to show UK property investors how to increase your cash-flow from multi-letting properties. MyPropertyPowerTeam are excited about the content that Paul will be offering to our readers and he has promised enough valuable information to enable investors to think about retiring within 12 months after using his methods and techniques to get the maximum profits from property. With an ever increasing population and open immigration policy, the UK currently needs around 3 times more houses than are currently being built, and the situation is set to get even worse when the EU restrictions on immigrants from Eastern Europe are lifted on 1st January 2014, according to a recent report by the Future Homes Commission (FHC), a body instigated by the Royal Institute of British Architects (RIBA). The FHC have called for 300,000 extra residential properties to be built every year on brownfield land and sections of green belt land close to virtually every city, town and village in a much needed UK housing revolution. There are currently a number of government backed schemes to try and kick start some life in the UK property market, including the Funding For Lending Scheme, New Buy and NewBuild incentives, all designed to encourage growth and movement in the market. However, it will as always be down to the skills and expertise of entrepreneurial property developers negotiating skills enabling them to continue buying land at the right prices, or completing previously part built developments and most importantly selling the finished properties onto willing buyers including first time and next time buyers and even property investors at the right prices. Having high street banks and mortgage lenders being encouraged to extend more lending to property purchasers including First Time Buyers (FTB’s) is vitally important and a must to assist buy to let investors to expand their property portfolios and allow them to fill the gap in the market created by the unprecedented tenant demand. The massive demand for affordable residential rental property in almost every part of the UK and private sector rents are still increasing due to this demand, as landlords attempt to cash in. Get your numbers right, and buy property now to enjoy some huge rental yields. If you are you looking to invest in property then this is for you! There are hundreds of thousands of people that need to sell their property in a short space of time and Simon Zutshi will teach you how to deal with these motivated sellers ethically to create a win-win solution for everyone involved. In one day Simon will teach you how to pick up some great investment deals and make the most of the current investing opportunities! Get access to All of the monthly PIN meetings AND join a great community who will help and inspire all for one low monthly price JOIN THE PIN ACADEMY NOW! For Property Investors and landlords: 2012 saw the emergence of Rent Guarantee products that are good value for money, property prices continuing to behave like a roller coaster ride but eventually recovering and ending the an average of 1% year up on last year’s prices and lets not forget the return of some decent Buy To Let mortgage products to the UK mortgage marketplace. How was 2012 for you? Has the year lived up to your expectations and did you achieve any of your property investment goals? When was the last time you bought YOURSELF a present? Perhaps it’s been a while? I was talking to UK Property Investment expert, Simon Zutshi, founder of the Property Investors’ Network, at the PIN Christmas dinner in November, about the importance of setting New Year’s resolutions and the importance of a sound property investment STRATEGY. It was such a brilliant idea that he even agreed to share it with our readers for FREE!